Kids love playing baseball. But they aren’t always so hot on learning its fundamentals. 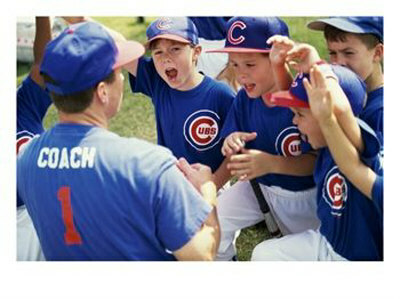 However the right kind of youth baseball drills can teach kids the ABC’s of the game in a way that doesn’t turn them off to the sport. 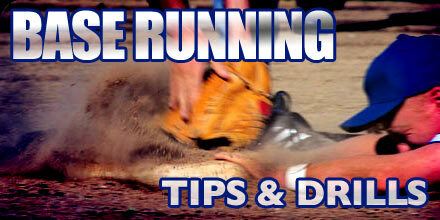 * Back foot drill to prevent a youth player from stepping out of the hitting zone. There is something about beginning youth baseball players which causes them to step away from the a pitched baseball and out of the hitting zone when they swing. Some of is obviously fear: they don’t want to get hit by a flying object. But even when they clearly stop being afraid of the ball many youth players continue to this out of habit. A very simple drill to keep a youngster in the hitting zone is to have the player practice swinging with his back foot raised and only his toes touching the ground. If you hold that position it is almost impossible to jerk your front foot away from the ball without losing balance. Not only does this drill keep the batter in the hitting zone, but it also shortens the stride and requires the batter to focus on pivot and rotating and not lunging at the ball. This easy drill only requires a bat, a ball and a tee. The player sets up next to the tee with his bat in hands like he is facing a live pitcher. The coach will then yell out one, two or three. If he yells one the player will coil and hold. Two, and the player will go into his stride and pause after he moves his bat back. If the coach yells three the player will complete his swing. What this drill allows the coach to do is break down different aspects of the players swing. Since the player doesn’t know what number the coach is going to call out his effort will be from long term muscle memory — which is what needs to be fixed to improve during games — rather than just short term rote mastery that may not transfer beyond the drill. While eventually baseball players become first baseman, shortstops, catchers, etc, during youth baseball participants should get as much exposure to every position is possible. This not only helps them learn all aspects of the game but it reveals each players’ fielding talents. (Or lack there of.) The follow-the-ball drill is a great way to get young players experience all around the infield. The drill starts with a player at every infield position but pitcher and the rest of players lined up behind the shortstop. The coach or parent hits a ball toward the shortstop who throws it to first. The first baseman then throws the ball to the second baseman, who throws it to the third baseman who throws it to the catcher. Then each player rotates to the base he just threw to, the next player in line assumes the shortstop position and the drill repeats. To set up this drill two lines of players form at home plate with one slightly ahead of the other. When the coach bangs his bats together the first players in both lines run toward first base, with the player in the closer line running through it like on an infield single and the other player rounding first and heading for second. Next time the coach cracks his bat the player on second scores and the player on first goes to third, allowing the next two players in the front of the lines to repeat what the first two players did. With the bases now loaded two players will score every time the coach cracks his bat and one will go to third. This will open first and second up for two new runners. When a player does score he should get in the opposite home plate line as he was before.